The aim of outsourcing software development services is to get access to well developed cost effective software solutions that can fulfill the requirements of your business. It also helps in increasing the return on investments of your company by reducing the overall operating cost of the company. Software development offers a solution that is developed specifically according to your business requirements and is custom built for your business needs. There are many things that you can gain by outsourcing software development services. Low labor cost and reduced operational expenses: Employing and maintaining an in-house team of developers, designers and other software development personals will incur a huge cost to your company. On the other, offshore software development vendors have a large pool of expert professionals who are available to at a much lower cost than those available at your workplace. Further, the cost of infrastructure development and managing other essential things for maintain in-house staffs are also reduced. Focus on core business tasks: Outsourcing allows you to transfer non-core business processes to offshore vendors and focus on the primary tasks of your business. Your in-house resources are not required to work on any non core business task and thus they can freely work on the tasks that matter the most to them. Access to an Adaptable Team: The offshore vendor maintains a highly experienced and skilled team of software development professionals who dedicate work on your project until it is completed. The team can be easily changed, expanded or modified according to your needs and wishes. Further, you have the control of the project at any stage and can implement any changes at any stage of the project. Reduced Risks: By outsourcing your software development requirements you are able to greatly reduce the risks involved for your business. The chances of anything going wrong are extremely minimal as they are experts in what they do and have extensive experience of developing software solutions for their clients. The responsibility of the project is on their shoulders and they bear the risks involved with it. Working with Professionals: Nothing is better than working with professionals who know what they are doing and are totally focused on the work assigned to them. By outsourcing your projects you can be free from searching and hiring expert professionals who specialize in software development. 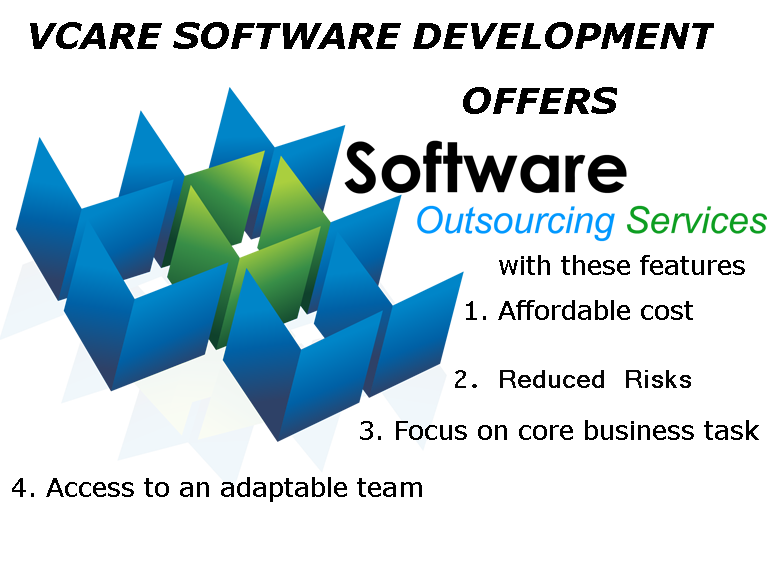 Outsourcing firms provide experienced and skilled professionals who have deep knowledge of all the involved technologies. This enables them to come up with a solution that is well built and perfect for all your business requirements. These were some of the gains that you can expect by outsourcing your software development projects to an offshore vendor. However, you should be very careful in hiring the partner for your software requirements as their knowledge and skills would have a huge impact on the final solution that you receive.